Tempe – Memo to Woody Johnson, Neil Glat and Mike Maccagnan – don’t spend money in free agency to appease the public. Johnson did a radio interview Wednesday with Mike Lupica, a long-time Jets antagonist, who has been nice to them recently. And Johnson told Lupica, “We’re going to try to spend” in free agency. But don’t overdue it to send a message, to shut-up the critics who called them “cheap” in 2014. The best strategy is to draft well, and plug in pragmatic free agent signings here and there. 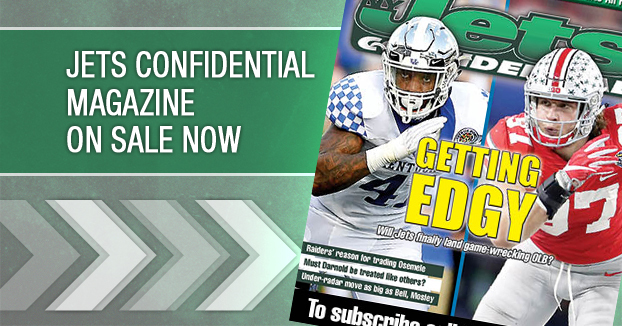 ***The new issue of Jets Confidential Magazine is out on newsstands. 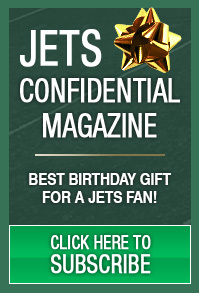 It might be our best issue ever – page after page of great stuff on the Jets you won’t read anywhere else. Tons of coverage on the Jets’ new regime and loads of Jets Whispers. It’s a must read for Jets fans. Pick one up on a news stand or call 1-800-932-4557 (M-F, 9-5) to subscribe. You can also subscribe to the magazine on this website.